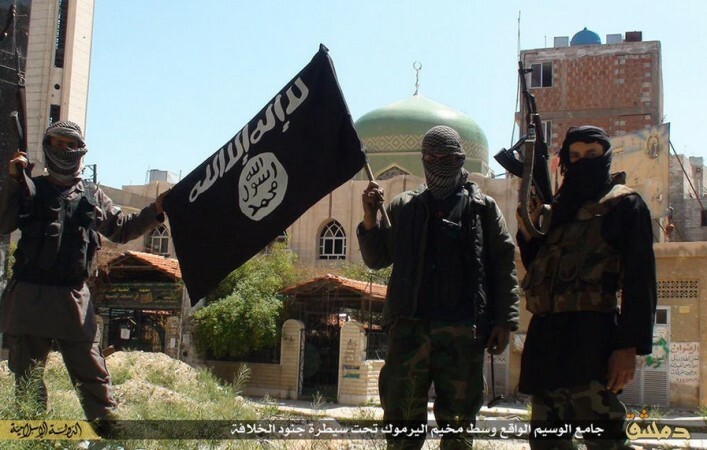 Despite Syrian regime airstrikes in Hasakah, Isis is gaining foothold in the region. The Islamic State group is threatening to take over the Kurdish city of Hasakah in northeast Syria, after having already taken control of a power plant near the city's entrance. Despite Syrian regime airstrikes in Hasakah, Isis is gaining foothold in the region and have seized a checkpoint and a prison in the city. Hasakah is said to have a population of 500,000 people according to Kurdish news agency Rudaw, and despite resistance from the Kurdish People's Protection Units, also known as YPG, the Islamic State is threatening to control the life of locals in the city by denying them electricity. "By taking over the power plant, the IS seems in a position to control the daily life of people in Hasakah," an activist told ARA News. The news agency reported that Arab and Christian residents in Hasakah are already fleeing the city following Isis' advances. Syrian forces and YPG fighters are now fighting Isis from the Mount Kawkab near Hasakah to prevent them from running over the city. Images showing Isis pounding Syrian Army positions near Mount Kawkab close to Hasakah using Howitzers appeared on Saturday. Isis recently took control of the historic city of Palmyra in Syria, with which it is said to have taken over half of Syria's territory.